The Jewish Community Relations Council of Greater Boston announced today that, after 20 years, its longtime Executive Director, Nancy K. Kaufman, will be leaving the agency on December 31, 2010 to become the President/CEO of the National Council of Jewish Women. Located in New York City, the National Council of Jewish Women (NCJW) is a grassroots organization of volunteers and advocates who turn progressive ideals into action. Inspired by Jewish values, NCJW strives for social justice by improving the quality of life for women, children and families and by safeguarding individual rights and freedoms. “Nancy has transformed the Greater Boston Jewish community during her celebrated career at JCRC. She has elevated our community’s awareness of social justice issues and brought together ethnic and religious leaders from across the spectrum. We will miss her leadership and guidance; but, we know that JCRC will continue to flourish as we move to our next phase. We have strong professional and lay leadership that will build on the strong foundation that Nancy has created over the last 20 years,” said JCRC President, Bill Gabovitch. Before coming to JCRC, Nancy worked for the Commonwealth of Massachusetts as Deputy Director of the Governor’s Office Human Resources, Assistant Secretary of Health and Human Services and Deputy Commissioner of the Department of Public Welfare. Ms. Kaufman is the recipient of the “Littauer Award for Excellence”, from the Kennedy School of Government, and the Massachusetts NASW chapter award for “Greatest Contribution to Social Policy and Social Change” as well as the Ten-Point Coalition’s community leadership award. 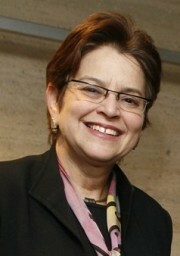 Ms. Kaufman also awarded the Warren B. Kohn Award for Jewish Communal Service in 2001, and was noted among the top 50 (The Forward Fifty) American Jewish leaders in The Forward Newspaper in 2000. Nancy holds a Bachelor’s Degree from Brandeis University; a Master’s in Social Work from Boston College, and a Master’s in Public Administration, Kennedy School of Government, Harvard University. She was awarded an Honorary Doctorate Degree in Public Service from Northeastern University in June, 2001.